Driven by delivering new and innovative solutions for airline customers, AIM Altitude regularly brings new concepts and fresh impetus to the galley market. Its galleys evolve with each generation, influenced by feedback from customers. At the Aircraft Interiors Expo, Hamburg, 2019, AIM Altitude is exhibiting three generations of galley development. 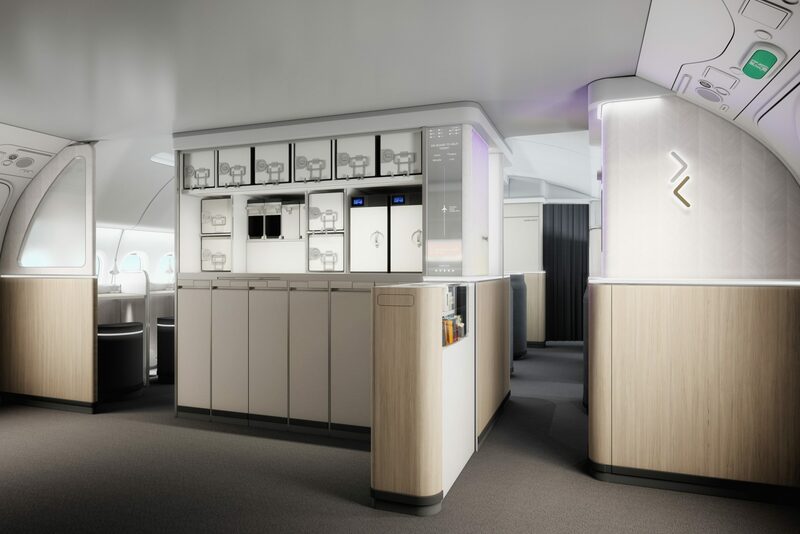 As well as refining many features of the first-generation baseline galley, AIM Altitude also focused on premium features for the second-generation galley, reflecting a rising demand in customised galleys to create unique boarding experiences. The third-generation galley shows further refinement as well as some new conceptual ideas and product innovations. In this development phase, AIM Altitude put specific effort into cooperating with other leading businesses to develop enhanced product solutions. Pull-Out Pantry: a customisable feature that is easy and quiet to use. Adaptable for different-use cases such as a pop-up bar or stowage unit, shown here in duty-free display configuration. All three generations of galley innovations can be viewed on AIM Altitude’s stand: 7B01 or by visiting the Galley Innovations page.